Kilmurry Ibrickane will host Dr Crokes from Killarney in Quilty at 1pm on Sunday in the Munster club Football Championship quarter-final, a repeat of similar fixtures in 2011 and 2012. Beaten 0-12 to 0-9 five years ago, Kilmurry were very unlucky to lose 2-8 to 0-13 just 12 months later in West Clare, largely thanks to two superb saves from Crokes goalkeeper David Moloney. At one stage the Kerry club led by eight points but Kilmurry battled their way back manfully. On October 16, Crokes defeated Kenmare District by 2-16 to 1-12 in the Kerry county final, setting up this tie against the Clare champions. “We’ll enjoy tonight and Monday but we intend to get back preparing for Sunday fairly quickly. “We have a small bit of history with Dr Crokes over a few years. We’d be hoping to give a good account of ourselves. I think we have the players to be able to match these teams. We won’t let the county down. We’ll go out and give it the respect it’s due. 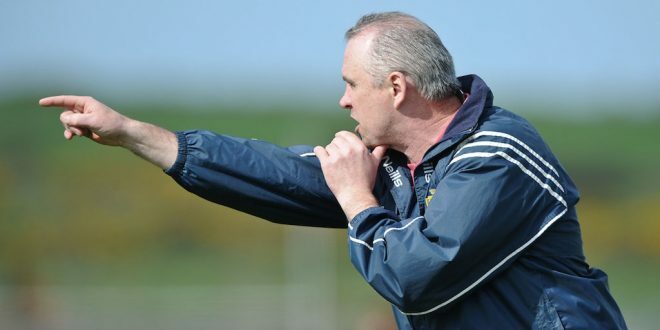 We’re anxious to do well in Munster if we can,” Moloney confirmed, as the 2004 and 2009 Munster club champions prepare for their first provincial campaign since the winter of 2012. Dr Crokes have won six Munster club titles, the last of which was in 2013. That completed a three in-a-row, although they didn’t add an All-Ireland club title to the one they captured in 1992. Dr Crokes will feature some outstanding footballers in Colm Cooper, Kieran O’Leary, Fionn Fitzgerald, Johnny Buckley and Eoin Brosnan. Kilmurry, who will be playing in their 17th Munster club game and their third against Dr Crokes, will be hoping to reproduce a display similar to their second half against Cratloe in the county final. “I think we’ve been threatening to do that all year. We’ve played well in patches but never really for an hour. I’m not saying we played well for an hour today but we controlled the game well in the first half and maybe changed tactics a little bit, held on to possession and ran at them in the second half. It was only a matter of time before it paid off when you have fellas like Martin McMahon and Keelan Sexton driving forward,” Moloney said in the aftermath of last Sunday’s win. “Overall, I think we probably had a better set-up. Enda Coughlan and Martin McMahon were coming out of the half-back line. We had fellas who can carry the ball, coming from the right areas whereas that didn’t work for us the last day,” he added.